Opposition said the government has failed to address the unemployment issue in the country. They said the situation has almost reached a crisis point. Members of the Opposition, in a press conference yesterday, said the overall urban unemployment has increased by 92 percent in the last three years. They said the government had promised to create around 120,000 jobs of which 30,000 were to be employed abroad. To meet the target, the opposition said the government is supposed to create 24,000 jobs a year with 18,000 to be employed within 6,000 abroad. 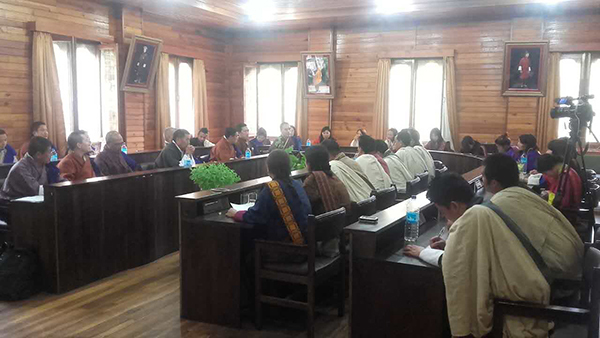 “In the last one year, the government has employed only 7,031 within the country achieving only 39 percent of the target,” said Kengkhar-Weringla MP, Rinzin Jamtsho. MP Rinzin Jamtsho added the government has no concrete employment generation programmes. The opposition said the government must accept failure and take urgent action to solve the unemployment crisis.